In its youth, Fort Worth was a rough-and-tumble frontier town, dusty and lawless, home to the brave and the brawling, the soldier, the frontiersman, the outlaw. Originally settled in 1849 as an army outpost along the Trinity River, Fort Worth was one of eight forts assigned to protect settlers from Indian attacks on the advancing frontier. The cattle industry was king for a generation of people working the Fort Worth leg of the historic Chisholm Trail, which ran from the 1860s to the 1870s. 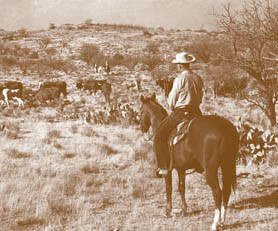 Fort Worth became the heart of state&apos;s ranching industry when the Texas & Pacific Railway arrived in 1876. In the years that followed, oil and aviation brought new wealth throughout the region, and a city grew where a camp once stood. The post-war years found Fort Worth capitalizing on its strengths as a transportation, business and military center. Cultural pursuits included the development of the city&apos;s internationally acclaimed museum district, built alongside the Will Rogers Memorial Center, which opened in 1936, and Casa Mañana Theatre. The mid-1980s saw the start of a major revitalization of that city&apos;s downtown and the introduction of Sundance Square. In the years that followed, developers broke ground on office towers and hotels, the city remodeled the Convention Center, and Sundance Square grew to a 35-block commercial, residential, entertainment and retail district. Fort Worth&apos;s earliest buildings endure to this day - art deco skyscrapers stand beside older redbrick stalwarts. And though the dust of the old west is gone, Fort Worth&apos;s proud Western heritage lives on, blending with thriving commerce and culture to create a destination unlike anywhere else in the world. Check out our history based itineraries to dig deeper into Fort Worth’s interesting past.